PALM BEACH GARDENS, Fla. – The Pacific Northwest PGA Section and its Muckleshoot Casino Washington Open Invitational benefiting the military charity Folds of Honor will be spotlighted on Golf Channel’s Morning Drive program on Thurs., Feb. 11, in celebration of the PGA of America’s Centennial. Last year, PGA Professional Greg Manley of Meridian Valley Country Club partnered with the Pacific Northwest PGA Section and Muckleshoot Casino to host the Muckleshoot Casino Washington Open Invitational at his facility. The tournament, which also featured a golf clinic for service members and their families, benefitted the Folds of Honor, a non-profit organization that provides educational scholarships to the children and spouses of military service men and women killed or disabled while serving our country. The event also served to honor Budd “Buddy” Cote, the stepson of a Meridian Valley Country Club member who was killed in action while serving in Iraq in 2006. Ultimately, the 2015 Muckleshoot Casino Washington Open Invitational raised $43,000 for Folds of Honor. The Pacific Northwest Section has supported Folds of Honor since its inception in 2007, with funds raised helping the Folds award a total of 122 scholarships to area military families. 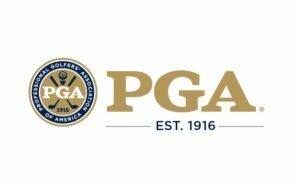 About the PGA of America Celebrating its Centennial, the PGA of America represents the very best in golf. For more Information about the PGA of America, visit PGA.org, follow @PGAofAmerica on Twitter, and find us on Facebook.